Another week, another post about Eurovision! This time, we will focus on the songs and contestants from three countries: Australia, Belgium, and Estonia. If you haven’t check it out already, please check out Part I , Part II , and Part III of the series. Those three blog posts feature songs from the Czech Republic, Hungary, Montenegro, Belarus, Cyprus, Finland, Serbia, Poland, and Slovenia. Did you know that food lyrics always spice up a song? 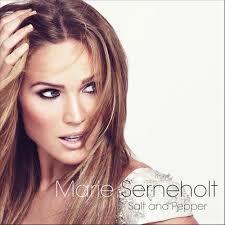 The producers behind “Salt & Pepper” knew it when they helped Marie Serneholt to release it. Many may recognize the name Marie Serneholt from her youthful days as a member of the Swedish band A*Teens. The group formed in 1998 with Serneholt and three other teens had hopes that they could be the new millennium’s ABBA. They started off by purely covering ABBA hits like “Mamma Mia”, “Gimme! Gimme! Gimme! (A Man After Midnight)”, and “Dancing Queen”. A*Teens didn’t start releasing original material until 2001 when they released the Gold-certified album “Teen Spirit”. However, the group broke up in 2004 after their greatest album hit stores. The band slowly parted ways as each member wanted to pursue their own careers. Furthermore, their last original album, “New Arrivals”, had slow sales and promotions for it was cancelled as their label went bankrupt. This gave Serneholt a chance to take a break and enjoy a life she couldn’t have while in A*Teens. The break didn’t last long as Serneholt began to appear as a model in various magazines and host various shows a little while after. During this time, she wanted to make a pop album with songwriter Jörgen Elofsson, who wrote countless hits like Britney Spears’ “(You Drive Me) Crazy”. Kelly Clarkson’s “A Moment Like This”, and Namie Amuro’s “make it happen (feat. AFTERSCHOOL)”. The duo created their own sublabel Planet Six, a part of SonyBMG, so they could work without any disruptions. The fruit of their labor came in the spring of 2006 when Serneholt released her first solo album, “Enjoy the Ride”. The album was solid at first, reaching #9 on the Swedish charts. But, quickly vanished from the charts soon after. Serneholt later went on to appear on Melodifestivalen, a Swedish music competition that would help to decided Sweden’s entry for Eurovision. She made her first appearance in 2009 with the song “Disconnect Me” and later in 2012 with the song “Salt & Pepper”: Although she didn’t pass the wildcard stage in 2009, Serneholt made better progress three years later when she reached the semifinals. “Salt & Pepper” starts off very upbeat with the backup vocals, who sound like they are from Britney Spear’s songs, heralding the song’s title in a rhythm pattern full of possible eighth-notes. Marie Serneholt then joins in by singing the first verse with robust mezzo-soprano voice. While her vocals aren’t exceptional or diva-quality, they are very pleasant to the ears with a clear, crisp tone. Because of this, it’s when moments like the pre-chorus (“My hearts goes Boom-boom-boom”) and the chorus that makes the song enjoyment.The digital alternation of the voice is also adequate as they create a type of edginess in her vocals. As for the musical side, the instrumentation doesn’t cause any inconveniences for the song or Serneholt. The song reminds me of big band music but with a modern twist. The song’s backbone comes from a firm trombone timbre that is supported by a up-stand bass and acoustic guitars. On top of those, the main instruments are an articulated tambourine with a synthesizer that goes from a 60s’ sound to a deep, electronica one. The lyrics are generic in the sense that the theme is too common in a lot of pop songs. But, the use of allusions is not. The song is about a girl, who might be as pure as “salt”, being attracted to a bad boy, who is characterized as “pepper”. Spice allegories are used throughout, especially in the song, to convey the girl’s feelings for the boy. The lyrics are not as appeasing as the vocals and instrumentation as they are repetitive and really basic. Nothing really special. This song is filled with memorable moments with it’s instrumentation, lyrics, and vocals. Even though it came in at #6 at the 2012 Melodifestivalen, “Salt & Pepper” is a notable, enjoyable song that you can listen at anytime. It might make you wanna break out into a little song and dance from time to time. Come Into the World of Silicon! Today’s post was partly inspired from a recent Buzzfeed video where teenagers were watching and commenting on popular videos from 1999: Brittany Spears’ “Hit Me Baby One More Time”, a Shania Twain video, and others. The last video was Eiffel 65’s “Blue (Da Ba Dee)”, which the teens commented on its horrible graphics and the “blue”-themed lyrics. Personally, I got a laugh at the kids’ comments because Eiffel 65 and “Blue” were some of my favorite things in elementary school and I didn’t think it was a bad video back in the day. However, now it’s different after watching the video the first time in 16 years; those graphics and plots were indeed horrendous. Oh, how times changed! 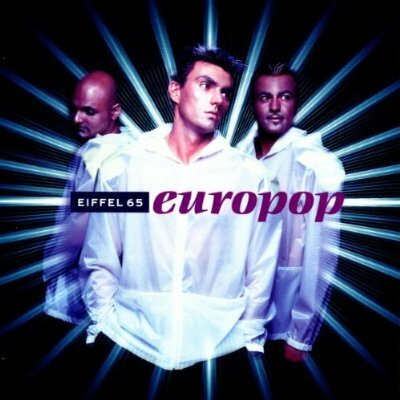 “Europop” was one of my favorite albums heading into the 21st Century. I remember I got really excited whenever “Blue” was played on the radio. I liked it so much that taped it so I could hear it over and over. When my parents noticed that I played it excessively, they bought me the album, which I still have but in ok condition (its been scratched up, disappeared during a few moves, and missing its booklet pal) I looooooooooved the album. The more and more I played it, the more I started to hate “Blue” and love the lesser known songs like “Too Much of Heaven”, “Europop”, and “Dub in Life”. I grew to love one song a lot, which I still love to this day: ‘Silicon World”. If you can get pass the basic lyrics, you might find out that ‘Silicon World” is a great album song with its grim melodic themes and feeling what the singer wants through the melodies. We are going to cross the ocean from Mexico to Europe to listen to the distinct sounds of Milk & Honey. Formed in 2006, Milk & Honey is a two-member group from Germany. However, they are quite diverse as they have released material in French, German, Arabic, and English. The members, Anne Ross and Manel Filali, had some entertainment-related experiences before creating Milk & Honey. Anne Ross was a former member of the German girl band Preluders, which was created from contestants on the German edition of Popstars. While Milk & Honey was her first musical project, Manel Filali was no stranger to show business as she worked in Hollywood for some time as an assistant. Nevertheless, the group released their first single, entitled “Habibi (Je t’aime)”, on November 10, 2006. Although in French, the single was a success in Germany and Austria, charting #16 and #46 respectively in each country. If you enjoy “Prove Your Love”, you can download their debut album here via Poprush.